IDIOT- 1. an utterly foolish or senseless person. 2. a fool, half-wit; imbecile; dolt, dun: SCUMBAGS: Muslims kill, US politicians consider limiting Americans free speech (aka sharia) WTF?!? Obama Blames Pastor for Muslims Killing Americans! SCUMBAGS: Muslims kill, US politicians consider limiting Americans free speech (aka sharia) WTF?!? Obama Blames Pastor for Muslims Killing Americans! The RINO and the Jackass. These two Senators need to be defeated because they represent the typical 'scumbag' politician disease we have in Washington. Islamic sharia blasphemy laws to be imposed by U.S. politicians? Stand up and be heard people. via Reid: Probe of Quran Burning Considered. 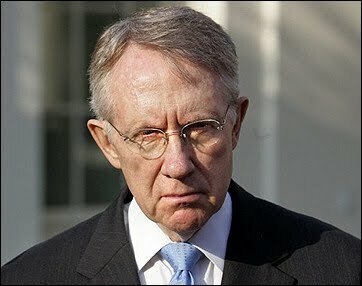 Senate Majority Leader Harry Reid says congressional lawmakers are discussing taking some action in response to the Koran burnings of a Tennessee pastor that led to killings at the U.N. facility in Afghanistan and sparked protests across the Middle East, Politico reports. Sen. Lindsey Graham said Congress might need to explore the need to limit some forms of freedom of speech, in light of Tennessee pastor Terry Jones’ Quran burning, and how such actions result in enabling U.S. enemies. “I wish we could find a way to hold people accountable. 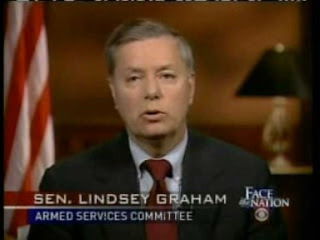 Free speech is a great idea, but we’re in a war,” Graham told CBS’ Bob Schieffer on “Face the Nation” Sunday. The OIC, CAIR, the Muslim Brotherhood, and Muslims around the world are salivating at the possibility that burning a Koran or speaking critically of Islam is on the verge of become a crime in the U.S. – unless Americans stand up and fight for our very survival. How About Condemning the Muslim Murderers? Predictable: Apologetic 'Suckass' Obama Condemns Koran Burning, Even Though Muslims Have Been Burning Bibles, Flags and Decapitating Americans for Years. Why is That Okay?